Opinion: By Todd Franko | August 26, 2018 at 12:00a.m. Someone with nothing to lose in life can be just as powerful as someone who has everything. It’s just a matter of how you look at things. I think that way of the government that is the city of Youngstown and its latest opportunity: to take over control of Youngstown Thermal utility company that provides heating and cooling to businesses in downtown Youngstown. To the surprise of no one, city officials ran fast and loud when Reg Martin, Youngstown Thermal’s court-appointed administrator, suggested that the future of the beleaguered utility is best in the hands of a beleaguered city. You could almost hear a collective “Huh?” from city leaders when Martin offered that. I agree that it’s not what you do. But it’s what you have to do. The cost of not ensuring price and stability for downtown businesses is far more expensive to the city. The opportunities to ensure price and stability for downtown businesses is a potential economic chip for decades to come. In 1926, civic leaders got together to form a water cooperative called Mahoning Valley Sanitary District. Today, Youngstown and Niles enjoy some of the best water rates known to mankind – just more than 2 bucks per 1,000 gallons. Neighbors around them that did not get in on that deal pay water rates as high as 17 bucks per 1,000 gallons. The years up until MVSD opened in 1932 included the Depression. I’m guessing that was a cruddy time to invest in something as crazy as creating a reservoir – especially when so many other governments said no to the idea. Only a few leaders are blessed to make great decisions when times are at their best. Many of history’s pivotal decisions have been made when times were at their worst. Just before that MVSD period, a guy named Volney Rogers assembled a pod of believers to create an idea that is, today, Mill Creek MetroParks. They had a vision for what was needed. They had immense need for cash. They assembled it, and the rewards have been reaped by millions of guests in the 100 years since. And oddly about Mill Creek, when an easy way out was opted for by city leaders constructing a new city sewer system, their short-sightedness caused long-lasting damage to Mill Creek that we endure today. For a more recent example, up at Youngstown State University, all the projects we see now have sat on a to-do list due to funding issues. Somehow, when Jim Tressel arrived, new roads, new housing, new programs started launching like Phantom Fireworks. The Covelli Centre is a catalyst for many good things happening in downtown right now. You don’t have downtown living, restaurants or a hotel or a community college without the energy created by Covelli Centre. The brave decision to build that facility was matched just a couple of years into its life as it was quickly becoming the disaster that some folks projected. Its operational contract with a successful national company was bleeding the city. Thermal is not an easy decision, and I get that. But if it were an easy decision, it likely would not be available to own. Thermal was recently at a $1.8 million annual deficit. But after the operating team was tossed out as the utility ran into default, the place – under new leadership – actually turned a small profit last year. That’s a sizable demonstration, albeit from a small profit. 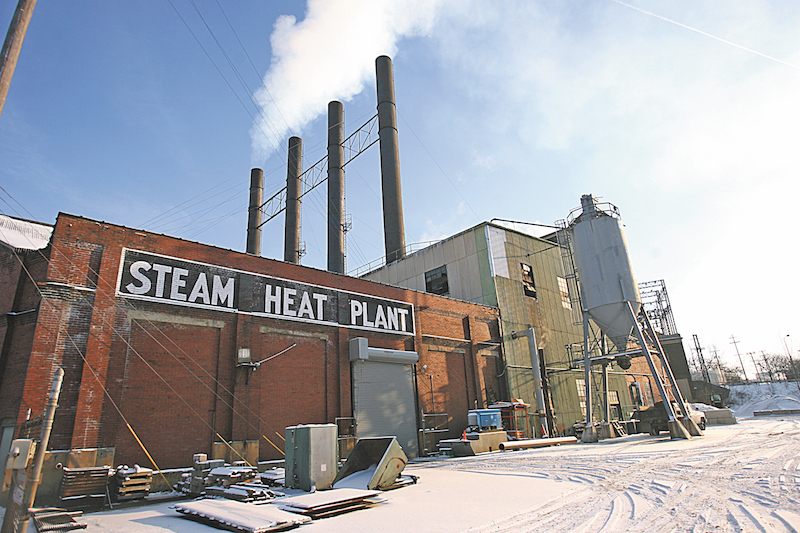 We at The Vindicator are patrons of Youngstown Thermal – for heat and for air conditioning. While Thermal is making a profit, it still limps along at times. This was The Vindy’s fourth summer with air conditioning breakdowns. Don’t worry about us. Worry about Home Savings Bank and Youngstown Business Incubator. They, too, suffered with no air conditioning at times this summer. With one swipe of a pen, they can be leasing office space in Boardman to ensure they can be the regional business leaders they are. That exact conversation happened this summer among some of us. Dear Mayor – take a long look at examples such as Northside Hospital vs. Covelli Centre, or building Mill Creek Park vs. dumping in it. Take a look at the win in Akron when that city took over its power company. Look at MVSD. History justifies what is hard to see right now. True, the money is not there to buy Thermal. But the ability to organize resources to make it happen is there, and the conviction needs to be, too. This is why you were elected. Someone with nothing, at times, kinda has nothing to lose. Todd Franko is editor of The Vindicator. He likes e-mails about stories and our newspaper. E mail him at tfranko@vindy.com. He blogs, too, on Vindy.com. Tweet him, too, at @tfranko. August 11, 2017 12:02 a.m.